October 2014 is an exciting month for Dundee’s cultural, literary, and comics communities. The Centre for Comics Culture at the University of Dundee has named this month “Scottish Heroes & Villains Month,” and the annual Dundee Literary Festival, which includes Dundee Comics Day, will be held at the end of October. A host of events related to Scottish culture, literature, and comics will be held throughout October on the campus of the University of Dundee and around the city. 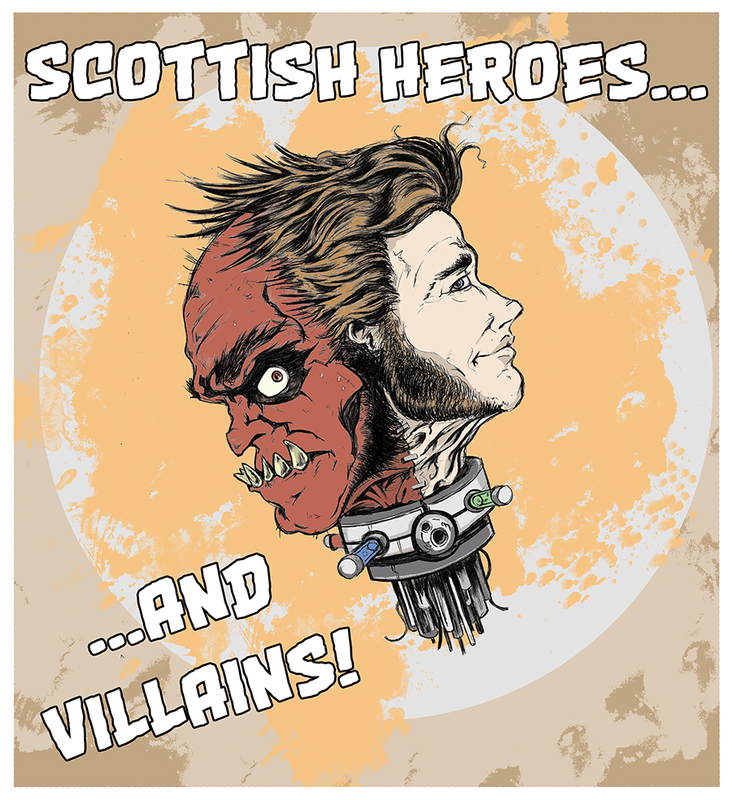 October is “Scottish Heroes & Villains Month.” Through the end of the month, workshops and events related to Scottish culture will be held around Dundee. These include a symposium with plenary speaker Professor Graeme Morton, workshops on drama and creative writing, a conference on Dundee and the First World War, and more. For more information on specific events and how to attend or participate, visit the official site. The annual Dundee Literary Festival will be held this year from 22nd-26th October. These five days are packed with talks by well-known authors, panels, workshops, salons, excursions, and book fairs. The winner of the 2014 Dundee International Book Prize will be announced during the festival. Special guests: Jodi Picoult and Jung Chang. For tickets and more details, visit the festival’s official site. 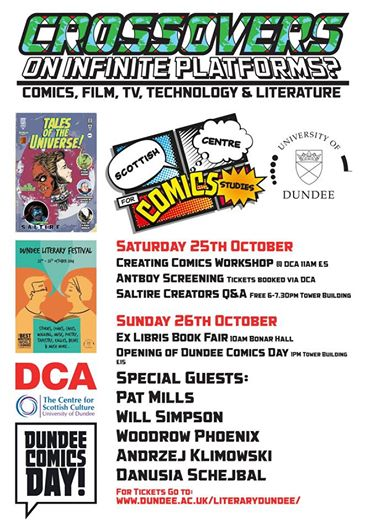 The 2014 Dundee Comics Day will be held on Sunday, 26 October 2014 from 1:00pm to 6:30pm in the Tower Building at the University of Dundee. Dundee Comics Day brings together British and international comics writers, artists, and editors to discuss their careers in the comics industry. This year’s theme is “Crossovers”, and focuses on the relationship between comics and other media. Special guests: British comics creator and 2000AD editor Patt Mills, comics artist Will Simpson, comics creator and editor Woodrow Phoenix, and comics creators Andrzej Klimowski and Danusia Schejbal. 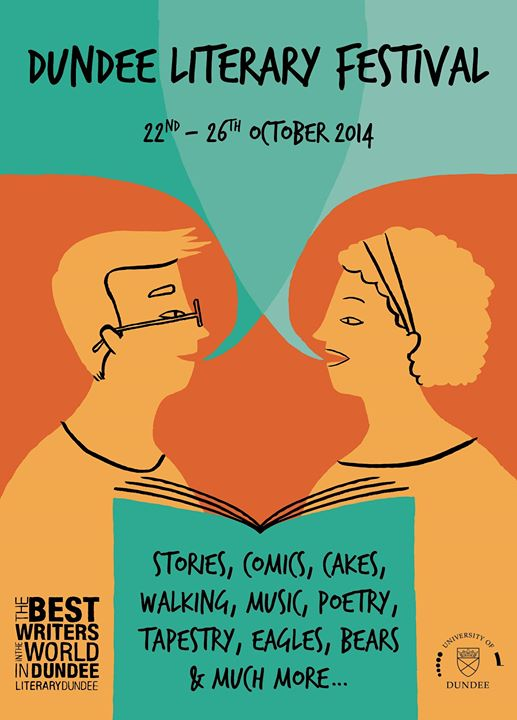 Other events related to comics will be held on Saturday, 25th October 2014 as part of the Dundee Literary Festival. Visit the literary festival’s site for more information and tickets. The winners of the 2014 Dundee Comics Prize will be announced at Dundee Comics Day. The winners will be chosen from applicants who submitted comics in September of this year. The aim of the Dundee Comics Prize (affectionately known as the tartan bucket prize) is to promote new talent in comics, and to help creators gain recognition. Winning pieces will be included in a UniVerse Publishing publication.